Katie Costello's new single 'Bon Air (Chill Mix)' with Hardsoul is hot...! 🔥🔥🔥 It's out now via Armada Deep! Denver and Omaha Dates Added! Rebel Pop Artist Katie Costello will be performing her unique brand of indie pop live along with tracks from her new album 'Twice the Love' in Boulder, CO, Des Moines, IA and New York, NY this summer! Katie Costello talks about her new album 'Twice the Love' 💓💓 with Music of the Future. Read the interview & share #TwicetheLove! Congratulations to Katie Costello on her recent LA Music Critic Awards! 🙌 Katie Costello won Best Pop Artist (Female), her EP 'New World' won Best EP (Female) and her video 'Hearts on Fire' won Best Official Video (Female)! 👏❤🙏 Go to the link to see Indie Voice Blog's winners announcement! Best way to start the new year?! 🎊 Hear the new Single 'BON AIR' from Hardsoul featuring Katie Costello - OUT NOW via Armada Deep! 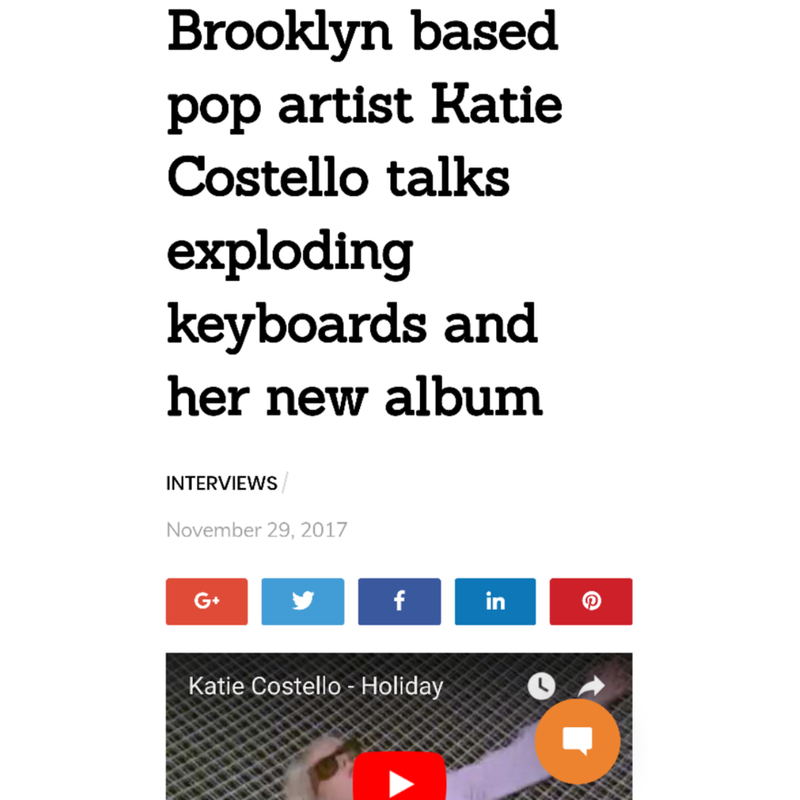 All Access Music interviews Katie Costello about her recently released third studio album "Twice the Love" 💕 Read more about Katie Costello in All Access writer Leah Brungardt's interview with her.